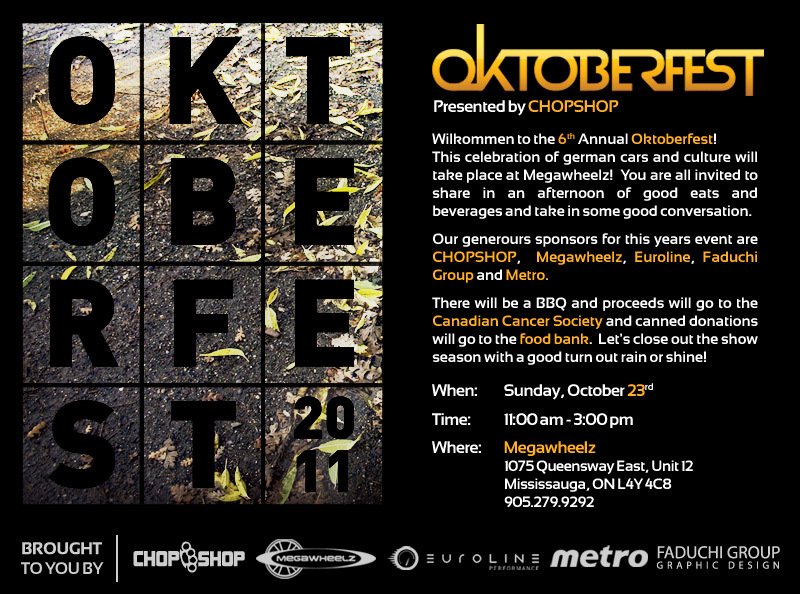 CHOPSHOP presents 'Oktoberfest' this Sunday October 23rd, 2011 taking place at Megawheelz in Mississauga, ON. 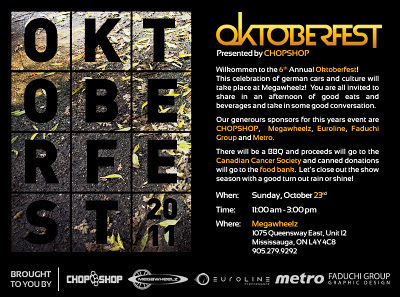 Swing by to check out some great Chopshop rides. There will be a BBQ on site and all proceeds will go to the Canadian Cancer Society and all canned food donations will go to the food bank.